What made you choose Barcelona to live and work? I went to Barcelona to study in the MSc Innovation & Entrepreneurship at Esade Business School. There are still not that many entrepreneurship programs in Europe and Esade has a long tradition in this field although the program itself is new. I went there with the firm intention to start a company by the end of the program. I wanted to study entrepreneurship not so much for academic reasons but mainly to immerse myself in the entrepreneur scene, build my network and meet interesting people and potential co-founders. In that sense this year was a great success as I met my current co-founder for qipoqo. So unlike many other people I didn’t choose Barcelona because of the beach and the beautiful city, although it certainly is a plus. What did it give you that places like London or Berlin can’t? Well, in terms of entrepreneurship you could think that Barcelona doesn’t have much to offer compared to these startup capitals. But that’s precisely why it was interesting. 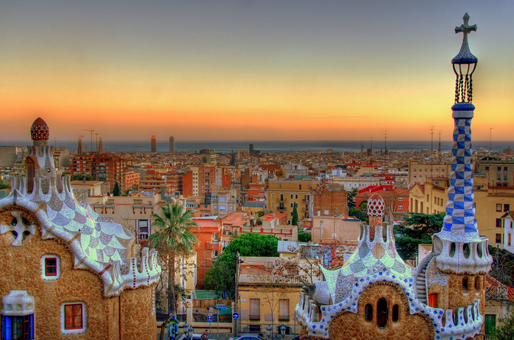 Barcelona is a city that puts a lot of effort into developing a thriving startup ecosystem. For example, there is a government agency entirely dedicated to this goal. Amongst other things they run a big incubator. There is more going on than I expected, but there is also a lot of room for improvement, and I think that both a bottom-up and a top-down approach are needed. The latter is largely missing so far unfortunately which is why I joined a few friends in building a student entrepreneurship network in Spain. It’s called E3 Union. The idea is to foster entrepreneurship already at a student level by helping and connecting student clubs and inspiring students to become entrepreneurs. This is an initiative that makes a lot of sense everywhere but is maybe needed more in Spain, where there is still a lot of work to do. So it was a great opportunity for learning and contributing to something I believe in that I might not have had somewhere else. What is the startup scene like? The startup scene is still in its infancy. There is quite a lot of effort from the government side but also quite a few misconceptions about startups and what they really need. In terms of a bottom-up approach, there are a few initiatives that work in the right direction, such as E3 Union and Startup Spain. Entrepreneurship-wise, however, the biggest problem in Spain is cultural. People are profoundly risk-averse, and entrepreneurship is not really a career or life option. Young people just don’t have it on their radar. When someone starts a company, a typical response would be “Oh, you’re unemployed”. In this context it’s not hard to understand why students don’t have a very positive attitude towards entrepreneurship. Cultural problems are much harder to fight than tax issues, funding scarcity or other problems the country is facing in terms of entrepreneurship. However, Spain and Barcelona also offer lots of opportunities. As I said, the government is starting to recognize the importance of supporting entrepreneurship. Also, there are excellent programmers in Spain that work for lower salaries than in Berlin, London or Paris, let alone New York or Silicon Valley – and Barcelona has two great engineering schools. What other startups excite you here? Privalia and eyeOS are two of the most successful Spanish startups, or at least they receive the most attention. Some younger startups have great potential as well. For example I really believe in Onto Mobile, a startup developing a software solution that generates native apps. It’s an interesting market and they have a great team. 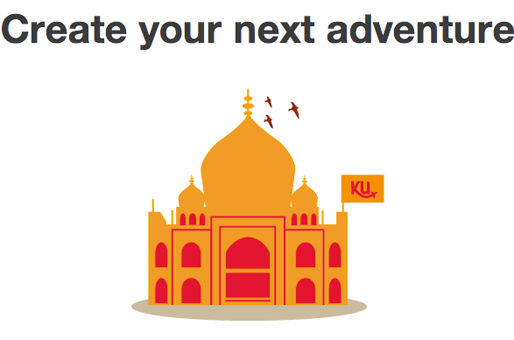 From a user perspective I like Tripku (above), a platform for organizing adventure trips with your friends. Given the current Eurozone crisis and Spain’s bailout, do you think that this will affect business starting in Spain? It probably will affect Spanish entrepreneurship, but not necessarily in a negative way. I believe that every crisis is always an opportunity as well. Often it is in harsh times when people come up with new, innovative solutions. I just hope that the Spanish government will recognise this as well, and continue to support entrepreneurs. In that case we could actually see a rise in entrepreneurship and some great startups coming out of Spain. Why did you choose to return to Germany to run your business? We decided to come to Berlin because of its more vibrant startup scene. Also, we won a startup competition and now have free office space for six months, free legal advice, and most importantly for us Bitcrowd, a web development agency, works on our prototype. This is absolutely crucial for us as we don’t have a technical co-founder yet. We’re actively looking for a Ruby on Rails developer to join the team, but at least with the help of Bitcrowd we’re not stuck in the meanwhile. We’ll have a beta out this summer no matter what, which gives us some time to look for the team member. What business events should we put in our calendar if we visit Barcelona? Well, last week there was a very big conference called Biz Barcelona that is definitely worth attending. In February there is always the Mobile World Congress. And then there are smaller but high quality events such as Lean Camp and 3 Day Startup. With E3 Union I also organised a cool event called Silicon Valley comes to Barcelona where we had really great speakers such as Brad Feld (TechStars), Michel Kisfaludi (eyeOS) and others. Where should we absolutely not miss to eat/drink/party/relax? My favorite bar is called “Boca Chica” (pictured) in Passatge de la Concepció (near Passeig de Gracia, the biggest shopping avenue). There is also a nice restaurant in the same building. 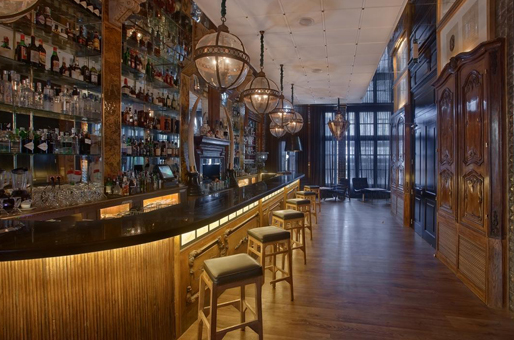 The bar itself has a really nice style and also a terrace. In terms of restaurants there are a couple of nice ones in that same street, but if you want to eat tapas “Cerveceria Catalana” is a good place to go. If you want to relax in the sun there are a few nice beach bars near the Casino.